This with reference to the meeting held in the Sashtri Bhavan on the possibility of lifting the current technical ban on mining chrysotile asbestos and the proposed guidelines prepared by Indian Bureau of Mines (IBM), Union Ministry of Mines on 28/4/2010. May I submit that it appeared that the meeting was convened at the behest of the “mine owners of Chrysotile Asbestos Mines” from Rajasthan, Andhra Pradesh and Jharkhand. I would like to be very specific and will make my submission based on identifiable references. Notably, BIS Standard mentioned in the proposed DRAFT GUIDELINES PREPARED BY IBM FOR CARRYING OUT THE CHRYSOTILE ASBESTOS MINING in this regard is mere paper work with no teeth to act. In any case the global experience shows that "safe" and "controlled" mining, manufacture and use of asbestos and its products is not possible. There is reference in the proposed guidelines as to how “No person shall be allowed to enter or remain in any work place which contains airborne asbestos dust at any time, exceeding the TLV (threshold limit value) of 1 fibre per cc, perceptible through standard monitoring procedures” and “No person shall enter or remain in any place which contains airborne asbestos dust at any time exceeding the limit of 1 fibre per cc in the working atmosphere, as observed in standard monitoring, unless such person is wearing approved type respiratory equipment to prevent the inhalation of such dust.” The fact is that WHO’s conclusions and recommendations for protection of human health in Environmental Health Criteria 203 for Chrysotile Asbestos concludes, “No threshold has been identified for carcinogenic risks”. As to the BIS Standard, it should be noted that 1 f/cc is not a visibly dusty environment, and exposures in this range can only be detected and determined with air monitoring and microscopic analysis. I doubt that there is a record of such monitoring having ever been done. In such grave circumstances, it is blind lust for profit at any human cost alone that makes people propose standards when there is no level at which it is deemed safe. At the meeting, I had drawn your attention towards the resolution of International Labour Organization (ILO) adopted by the 95th Session of the International Labour Conference, in June 2006, which stated that “all forms of asbestos, including chrysotile, are classified as known human carcinogens by the International Agency for Research on Cancer, a classification restated by the International Programme on Chemical Safety (a joint Programme of the International Labour Organization, the World Health Organization and the United Nations Environment Programme)”. 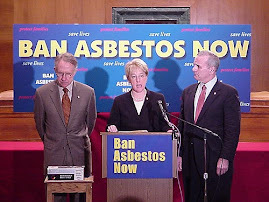 The resolution noted that “an estimated 100,000 workers die every year from diseases caused by exposure to asbestos and resolved that “the elimination of the future use of asbestos and the identification and proper management of asbestos currently in place are the most effective means to protect workers from asbestos exposure and to prevent future asbestos-related diseases and deaths”. This shows that the proposed guidelines by the chrysotile mining ministry is blind to the global trend, domestic occupational health conditions and the preventable deaths that occurs due to asbestos mining and its subsequent uses. Notwithstanding the fact that the current legal position with regard to asbestos is that there is ban on the import/export of waste asbestos (dust & fibers) under the Hazardous Waste (Management, Handling and Transboundary Movement) Rules, 2008, the proposed guidelines misleadingly says, “Asbestos containing residue is covered under the Hazardous Waste (Management and Handling) Rules, 1989. Accordingly, hazardous waste may be transported, treated and disposed of as per Hazardous Waste (Management and Handling) Rules, 1989”. 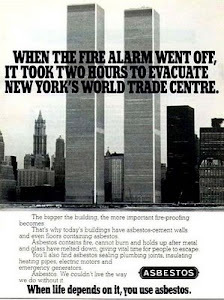 I agree with you when you said that "Asbestos should be banned completely." I submit that so far only half step has been taken in India by banning export-import of asbestos wastes, by banning renewal of mining leases for asbestos and by banning use of schools in the schools of Kerela. 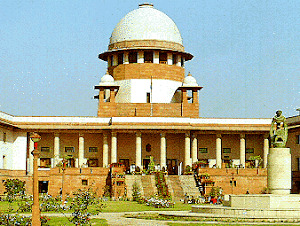 The matter with regard to complete ban and decontamination of existing asbestos sites is pending before the Supreme Court of India and National Human Rights Commission (NHRC). Public interest creates a compelling logic for your ministry to ensure that the (illegal) mining of asbestos that has taken place has gone on under deplorable conditions is stopped as well and a a total ban be enforced. There is no basis for thinking that legalizing this will improve the state of affairs for the asbestos mine workers. It has not happened anywhere in the world. I strongly disagree with the alarming and indefensible logic that unless complete ban on asbestos is announced and enforced, asbestos mining in our country can be permitted. waste. The trend of alarming rise in the consumption of asbestos in India in hospitals, schools, homes and commercial buildings now resemble those that existed in the industrialized countries before the dangers of asbestos were widely recognized. The Mines Ministry has consistently informed the parliament that "In view of the hazardous effect of asbestos mining on health, the Government has decided not to grant any new lease for mining of asbestos and minerals found along with asbestos. It does not renew the existing mining leases of asbestos. In view of the deleterious effect of asbestos mining on the health of the workers, the government have ordered the State governments in 1986 not to grant any new mining lease for asbestos (including chrysotile variety) in the country. In June 1993, government stopped the renewal of existing mining leases of asbestos in the country." The ministry has rightly recognised the poisonous nature of asbestos fibers. Is it reasonable and convincing to now argue that the ministry's wisdom about the "deleterious effect of asbestos mining on the health of the workers" all along was wrong just because mine owners would like the ministry to say so. In view of the above and the growing global awareness about incurable diseases, may I request you to please initiate steps to stop the "Asbestos (that) is being mined in the areas already held under mining lease." I am aware that at the behest of the mine owners, Ministry of Mines approved a S&T Project titled 'Study of Pollution Level in Asbestos Mines and processing plants in Rajasthan' in 1998. This study was done by Indian Bureau of Mines (IBM) under pressure from mine owners. This study is ridden with conflict of interest and not surprisingly it chooses to ignore the medical and scientific evidence of the UN bodies. Followng a reply by Shri B.K. Handique, the Union Minister of Mines in the parliament on the matter of asbestos mining, I had written to him informing him about the disastrous consequences of lifting the van on renewal of leases. I await a pro-worker and pr-environment reply from him. In the last one year, three former asbestos mine workers Jhalama Mana, Padma and Lal Singh from the Netaji Ka Bara and Upreta villages in the Jhadole district of Udaipur have died of the disease. The trio were part of 124 others who were checked by the National Institute of Occupation Health. However, the reports of the tests are still awaited. These are just samples from the workers who were working in asbestosis mines in this region. We are sure that there will be many more in reality. Victims of asbestos diseases from Andhra Pradesh and Rajasthan suffer horrendous working conditions. The mine owners conceal hazards of working with asbestos, there is delayed diagnosis, misdiagnosis and absence of legal remedy for their incurable diseases. 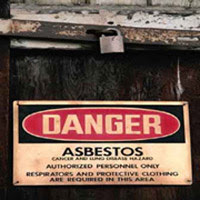 The scientific consensus today is that all types of asbestos fibres, including chrysotile, cause asbestosis, lung cancer, and other cancers most specifically mesothelioma. At the International Conference entitled "Preventing Emerging Occupational and Environmental Risks in South Asia and Beyond" was organized by Centre for Occupational & Environmental Health (New Delhi), Collegium Ramazzini (Italy), and Drexel University, School of Public Health, Philadelphia, supported by Union Ministry of Labour and Employment, Government of India, and WHO, SEARO at capital’s Maulana Azad Medical College, Katja Radon from Germany informed that the social system in Germany are geared to provide pension to asbestos victims and their families besides compensation and the public health system provides universal coverage. The experts noted that the grave health hazards of asbestos are entirely preventable. The health risks of asbestos exposure are unacceptable. Indian health experts and officials admitted the almost complete absence of occupational and environmental health infrastructure and the cancer registry of the country of does not record occupational cancers. Besides Russia's Ural Asbestos Mining & Ore Dressing Company, the world's largest manufacturer which is the largest supplier of chrysotile asbestos to India, Canada is the second largest supplier to India although over the past two decades, Canada has spent millions stripping asbestos from the walls and ceilings of schools, the Parliament Buildings, and hospitals because of the national outcry against asbestos making the government to stamp out asbestos use at home. But it is promoting its use in India. To date, some 50 countries have banned asbestos. Asbestos is recognized as a carcinogen and is banned in all 27 European Union member countries besides Australia, Egypt, Saudi Arabia, Chile, and Japan. Unmindful of this between 1999 and 2001, Canada’s government spent about $575,000 appealing France’s 1997 asbestos ban, only to have the World Trade Organization uphold it. Undeterred, in 2004 Canada successfully spearheaded a coalition of naysayers—Indonesia, India, Iran, Kyrgyzstan, Peru, Russia, Ukraine, and Zimbabwe—to block the addition of asbestos to the Rotterdam Convention, a chemical watchdog list. 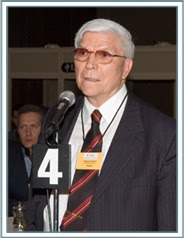 Most recently, in late March 2010, Canadian Public Health Association called for a ban on the mining, transformation and export of Chrysotile Asbestos and recommended that Government of Canada to "Introduce legislation to ban the mining, use, and export of asbestos, Cease funding the Chrysotile Institute, Establish a national surveillance system and registry for asbestos-related diseases workers exposed to the various forms of asbestos with data storage for at least 40 years, including information on the diseases and exposure to the fibre from chrysotile asbestos, Provide just and adequate transition assistance income support and training for workers who would lose their jobs and financial assistance to communities that will impacted as a result of the closure of the asbestos mines and production industry and Ensure complete removal and replacement of asbestos-containing vermiculite insulation in housing on reserves. Keeping the above facts in mind, I earnestly request you to support and recommend the proposal for a total ban on the mining, trade, manufacturing and use of asbestos and asbestos products of all forms. I wish to thank Mr Anil Subramaniam for promptly sharing the draft guidelines. I would be glad to share more information and details with regard to asbestos.